See what's happening in each room of this busy house. 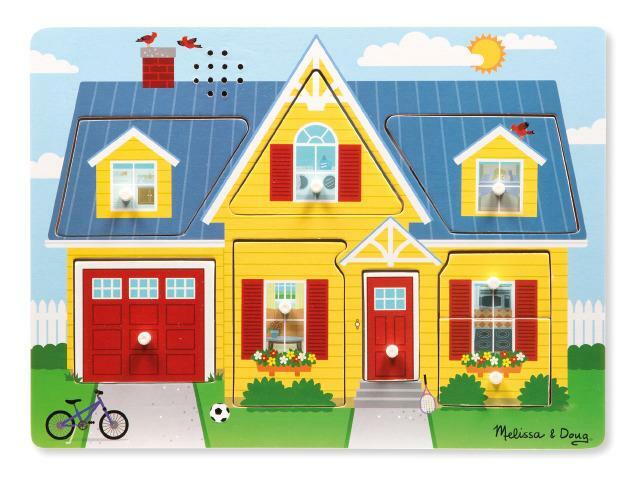 Kids will love exploring this house and discovering new, full-color pictures under each piece and learning what is making the realistic sounds. Dimensions: L: 11.75" x W: 8.75" x 0.75"